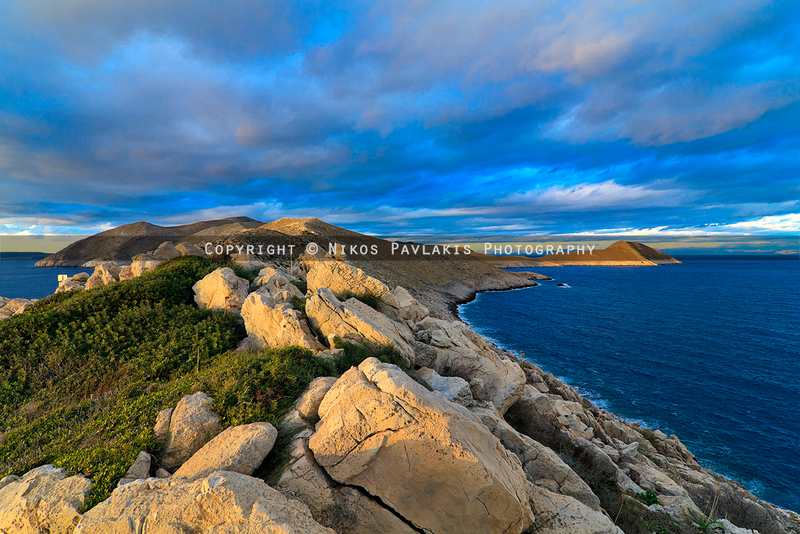 Cape Tenaro, is situated at the end of the Mani, Greece. Cape Matapan is the southernmost point of mainland Greece. It separates the Messenian Gulf in the west from the Laconian Gulf in the east. Cape Matapan has been an important place for thousands of years. There is a cave at the tip of Cape Matapan that Greek legends claim was the home of Hades, the god of the dead. The ancient Spartans built several temples there dedicated to various gods. 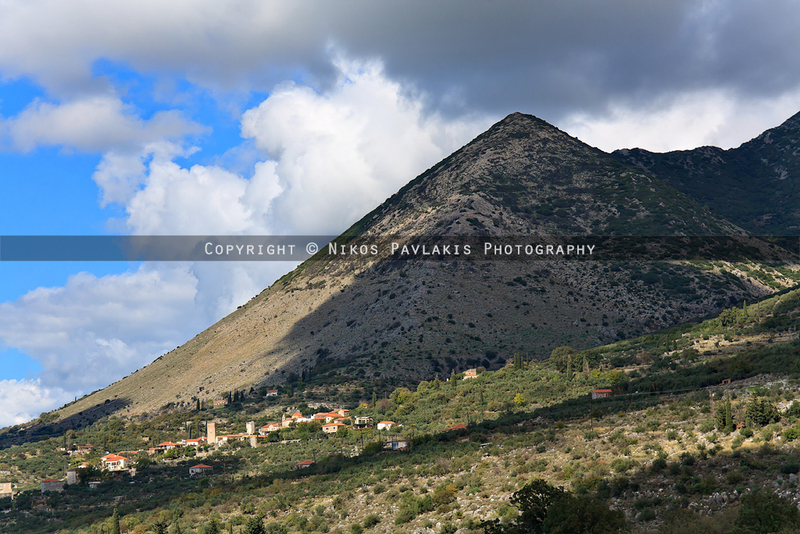 On the hill situated above the cave lie the remnants of an ancient temple dedicated to the sea god Poseidon. Under the Byzantine Empire, the temple was converted into a Christian church, and Christian rites are conducted there to this day. Cape Matapan was once the place where mercenaries waited to be employed. More recently a lighthouse was constructed but it is now in disuse. As the southernmost point of the Balkan Peninsula, the cape is on the migration route of birds headed to Africa. A sunny day of October was what lured me to drive my car all the way from Kalamata to Cape Tenaro. I had never been there before and weather presented a good opportunity for driving. I started making plans just a few hours before I set out to Mani, but I was very sure that I could plan some more as the day unfolded. What is said to be "The Pyramid of Mt. Taygetos"
I was stunned by the beauty of the landscape and sometimes I found it very hard to leave each rest stop to continue my journey to the end. Architecture was just amazing! 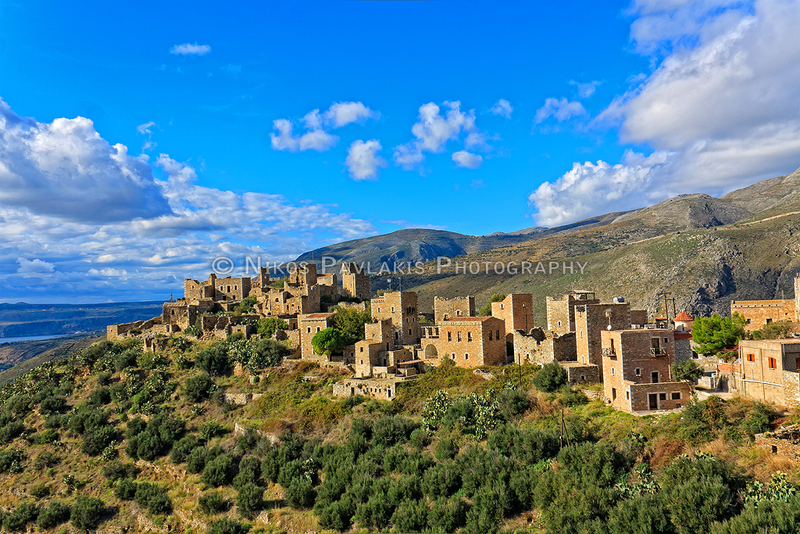 Stone built houses and churches, deep blue skies and seas, green everywhere! What’s not to like? 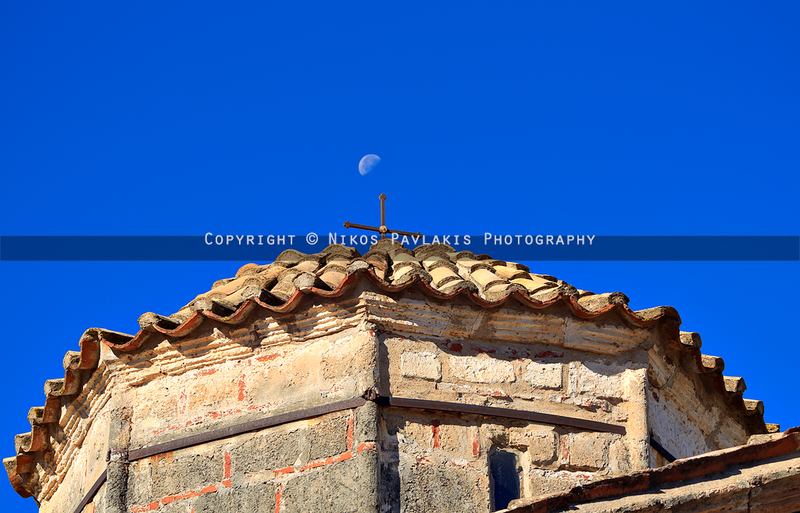 The moon over a medieval chapel in Mani. 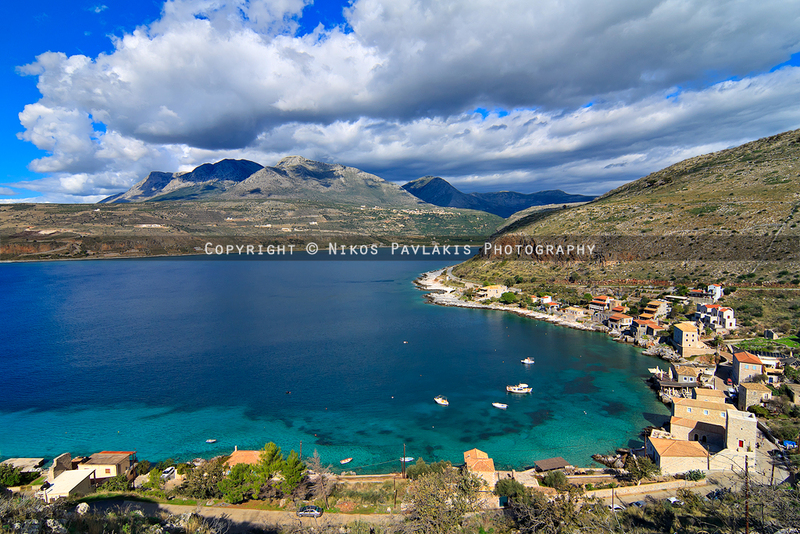 I stopped several times on small villages (I can’t remember their names) because of something that caught my eye (or simply because I felt like exploring the surroundings some more), but I remember Limeni harbor, an old pirate hideout. The place really stands out in a small gulf and some of the old architecture is preserved. There are some taverns by the sea and a view that keeps you locked into position for some minutes. 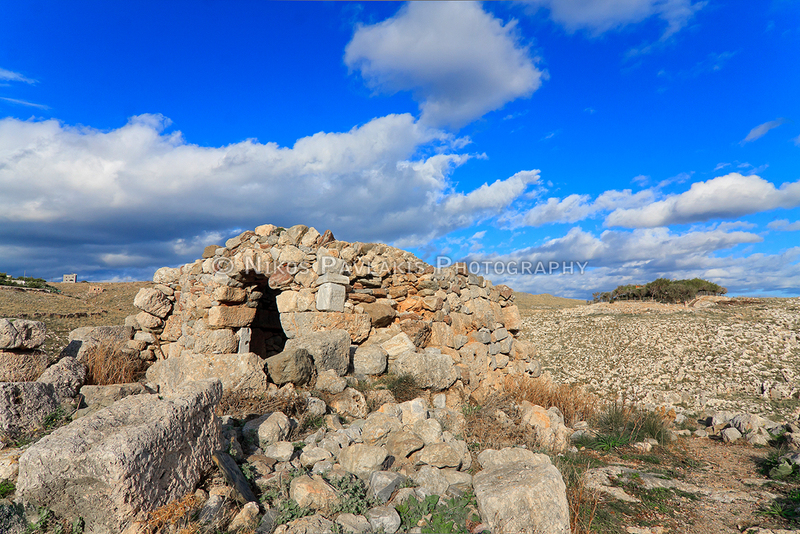 There is Vatheia, an abandoned old village whose stone architecture is also preserved in great extent. The stone houses stand like ghosts of the past, ruined by the time and weather and I believe there are very few (if any) villagers left there. There is also Gerolimenas, a small fish village by the sea located in a small gulf, a village with great history and a lot of tourists in the summer. As for winter, it is a quiet village with harsh weather conditions and not many villagers that I consider them heroes living in such conditions. The final destination was Cape Tenaro (or Cape Matapas) the southernmost point of mainland Greece. I climbed a small hill just before the final road entering the cape and I was astounded by the view. The sight of a piece of land that seemed to divide two seas was breathtaking and held me captive for a few minutes as the sun begun to descend from its highest point. Worrying that I might not arrive in time at the lighthouse I entered my car and started driving towards my last stop, my destination. Ruins of the "cave to Hades"
When I arrived at the cape, I realized that a 2 km walking was lying ahead of me and with little time to waste I prepared whatever equipment I would need and started walking. 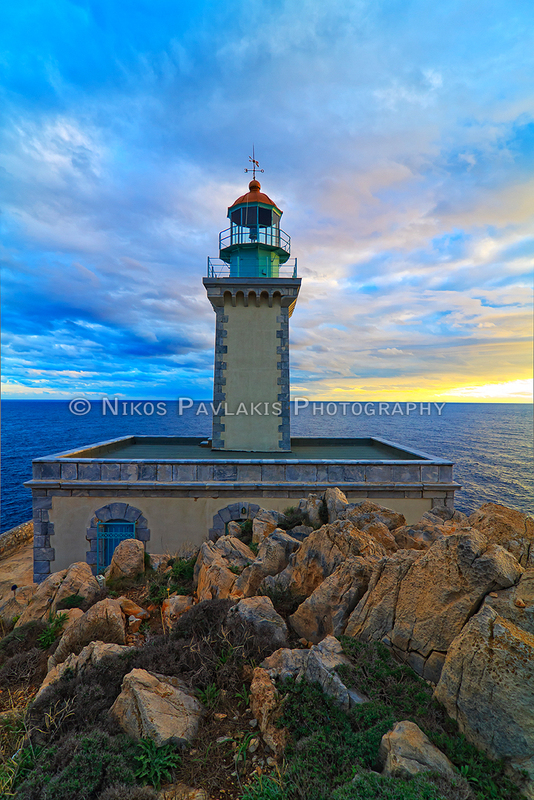 It was not long before the sun started to fade away because of some heavy clouds, but I could not defeat the feeling that I needed to arrive to the lighthouse. And I did arrive! And it was so rewarding! Calmness, just the sea, the lighthouse and the light was playing through the clouds to finally reveal one of the most spectacular sunsets. It was not only the colors, but the exact state of mind I was at that time. And when I started returning to my car, literally moments before night fell and all light was gone, I remember standing on top of a hill with the clouds just meters above my head, dark and deep blue, yellow and orange sun lights here and there. I left the place full of energy and deep feelings about the natural wonders of that mystic area hoping I can visit the place again in the future. Here are the rest selected photos from that day.